Choose your size and upholstery option, and get ready to lie down in the low-key luxury of Sunpan’s Jackie Bed. 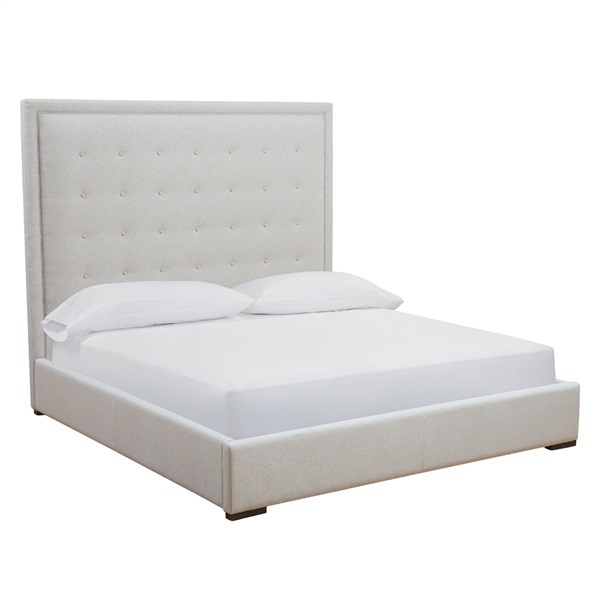 Crafted of quality wood, the Jackie Bed by Sunpan features meticulous button-tufted details on a generous-sized headboard that brings an easygoing elegance to all kinds of bedroom aesthetics, while its included slats and platform style make a bulky box spring obsolete. Wood frame delivers long-lasting quality. Silver linen fabric construction gives the bed a glamorous look and feel.